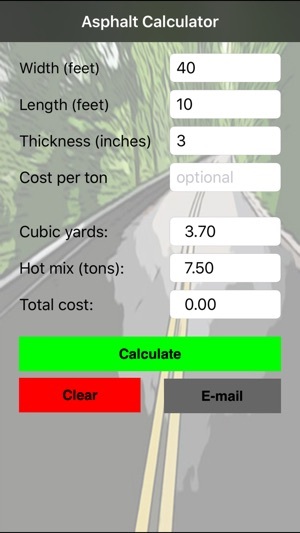 This iPhone/iPod Touch app will calculate the amount of cubic yards needed for a given job. It will also calculate hot mix tonnage. 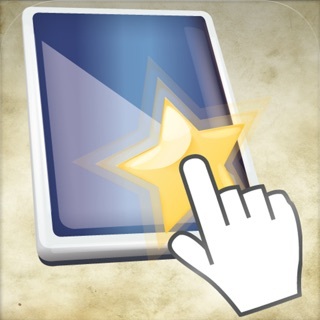 Simply input the length and width in feet and the thickness in inches and tap on the calculate button for your results. 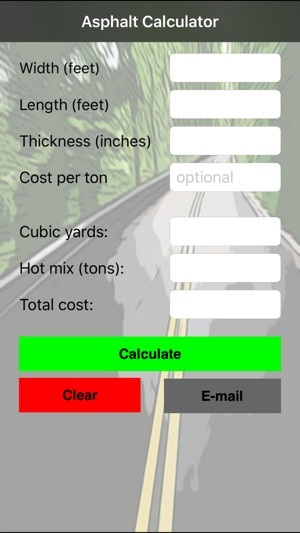 Also, included an optional cost calculation, simply input the cost per cubic yard of asphalt and the total cost will be displayed with the results. Agree with previous review. You need to add cost per ton. Also, it would be nice to log a calculation so if needed you can refer to different calculations after being out in the field all day. Also, the ability to email the summary of a calculation. I could see value in looking at a job and emailing the details to one of our delivery leads for ordering. Needs an update "face lift"
Maybe add a feature for sub base. 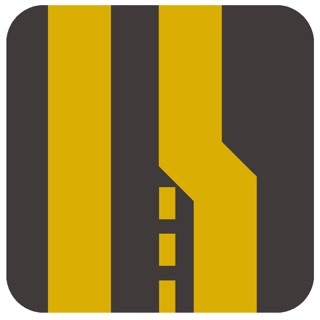 It would be nice if you could do multiple measurement and store it for a total calculation "patch paving". Maybe even a built in calculator. The app is good. But should be able to change the price/yards, to price/ton. We go by the ton not the yard. Other than that I like the app I use it alot.